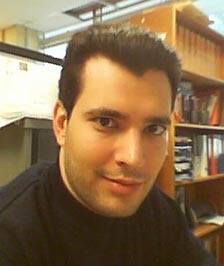 Dr. Harilaos Koumaras was born in Athens, Greece in 1980. Currently Dr. Koumaras is a research assistant professor at the Institute of Informatics and Telecommunications of NCSR “Demokritos”. He received his BSc degree in Physics in 2002 from the University of Athens, Physics Department, his MSc in Electronic Automation and Information Systems in 2004, being scholar of the non-profit organization Alexander S. Onassis, from the University of Athens, Computer Science Department and his PhD in 2007 at Computer Science from the University of Athens, Computer Science Department, having granted the four-year scholarship of National Centre of Scientific Research “Demokritos“. He has received twice the Greek State Foundations (IKY) scholarship during the academic years 2000-01 and 2003-04. He has also granted with honors the classical piano and harmony degrees from the classical music department of Attiko Conservatory. Research Activities. Dr. Koumaras has been an active research associate since 2003 of Media Net Lab at the National Centre of Scientific Research “Demokritos” and since then he has participated in numerous EU-funded and national funded projects, collaborating with various universities (e.g. University of Bordeaux, Plymouth University, University of the Basque Country, Universitat Politècnica de Catalunya) and enterprises (e.g. Vodafone, Ericsson, Intel) with presentations and publications at international conferences, scientific journals and book chapters. His research interests include objective/subjective evaluation of the perceived quality of multimedia services, video quality and picture quality evaluation, video traffic modeling, digital terrestrial television and video compression techniques. Currently, he is the author or co-author of more than 100 scientific papers in international journals, technical books and book chapters, numbering at least 700 non-self citations. Business and Innovation Activities. Dr. Koumaras, since 2016, is the co-founder of the INFOLYSiS P.C. an innovative start-up company based in Athens, focusing on commercializing innovative smart home and IoT solutions by utilizing chatbots apps of popular messaging services (Viber, Messenger, Skype). Thus, INFOLYSiS develops custom-made chatbot solutions hosted at serverless environments, where the user can interact via a chatting interface with a Smart Home environment or retrieve data from an IoT domain or control connected smart devices. INFOLYSiS is a Viber Trusted Partner for chatbot apps design and development in Greece, having developed the first commercial Viber chatbot in Greece (link). At the backend of the smart home and IoT solution, INFOLYSiS has developed and commercialized a Docker-based interoperable IoT GW, which is able of interconnecting sensors of different data protocols, providing a unified monitored IoT domain. This Docker-based GW is complemented by the use of containerized mapping functions (i.e. proxies) between popular data protocols, such as CoAP, MQTT etc. Teaching Activities. Between 2004 and 2009 Dr. Koumaras is a principal lecturer at the Business College of Athens (BCA) and an adjunct lecturer at the City University of Seattle, teaching modules related to Information Technology, Networking, Mathematics, Innovation and Logic. In 2009, he was elected as the Head of the Computer Science Department of BCA, coordinating the respective franchised computing courses of London Metropolitan University till 2014, when he joins as an adjunct assistant professor the faculty team of Hellenic American University for the academic year 2014-2015. Achievements. Dr. Koumaras expertise in the field of ICT has been widely recognized by serving as an independent expert on behalf of the European Commission by auditing the progress of funded FP7 project and evaluating FP7 and H2020 research proposals. For the period 2014-today, Dr. Koumaras has been positioned as Co-Chair of the IEEE Interest Group on Multimedia Content Distribution of the IEEE Multimedia Communication Technical Committee (MMTC). Since 2009, he has also joined the editorial board member of the Telecommunications Systems Journal and he has acted as a reviewer at numerous prestigious journals and magazines. In 2018, Dr. Koumaras successfully received for NCSR “D” € 1,272,000.00 EU funding for the project 5GENESIS (total funding €15,796,863.51), involving 26 partners from the academia and the industry at the early deployment of 5G testbeds across Europe. Dr. Koumaras appointed the role of the project manager for 5GENESIS project. Dr. Koumaras has been accepted as a member of IEEE, SPIE, NGS and ECPMA. I enjoy traveling very much, and on the following map you can get an idea of the places that I have visited.